Forearm Forklift Lifting Straps | Lodi Metals, Inc.
Forearm forklifts are a great way to save you or your company time, stress, and energy! Using the basic physics principle of leverage, the Forearm Forklift Lifting Straps will change the way you view moving furniture! So many injuries are caused every year by moving related incidents, with the main area of injury being the lower back. The Forearm Forklift Lifting Straps place all of the weight on your forearms while making the load feel like far more manageable. With the help of one pair of straps and a partner, anything you carry will seem 66% lighter! As a result, lower back injuries are greatly reduced and user safety is increased exponentially. OSHA has even officially accepted Forearm Forklifts for their encouragement of proper lifting techniques. 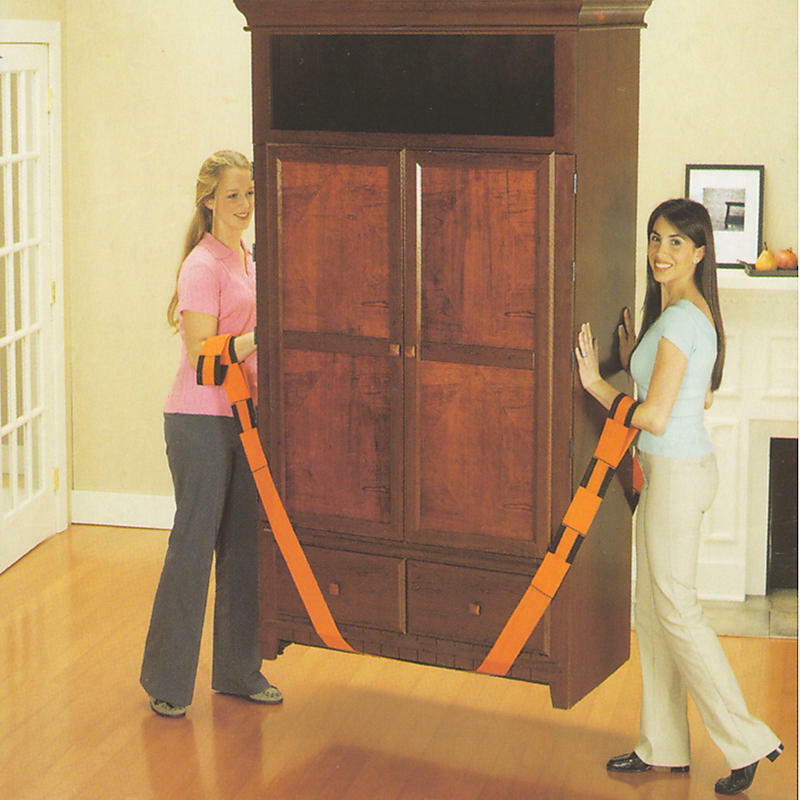 The Forearm Forklift straps are a great way to maneuver the heaviest of household items from one place to another. Dressers, couches, washers, dryers, tables, desks, refrigerators, woodworking machines and many other household furniture items can be easily moved with only two people! Moving furniture and other large household items can be extremely dangerous, but with the help of the Forearm Forklift Straps and one other person, you can safely and quickly move them with minimal effort. Typical dollies and hand trucks are known for leaving marks and scratches on surfaces such as walls or wood floors, but with Forearms Forklift Straps, there is little to no risk of damage to the house that you have worked so hard to maintain. Stairs and other treacherous terrains that would be a problem for any other kind of dolly on the market is no problem for these straps! Stop letting the heavy times in your house get the best of you, and get yours today! Each pack comes with two straps and an easy-to-use, illustrative instruction booklet! - Each pack comes with 2 straps which are a complete set. - Each pack comes with easy-to-use and illustrated instructions.